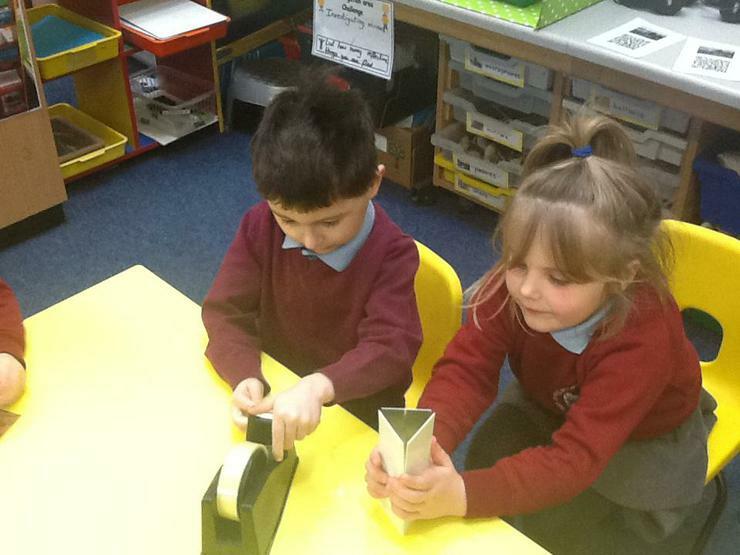 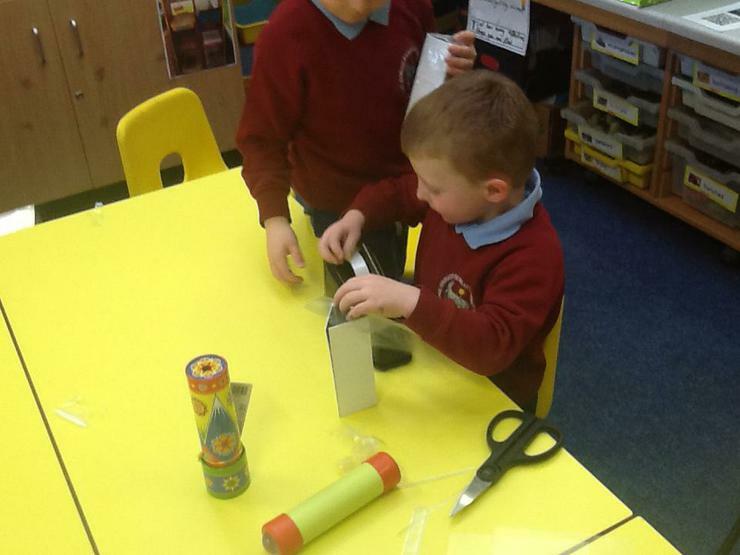 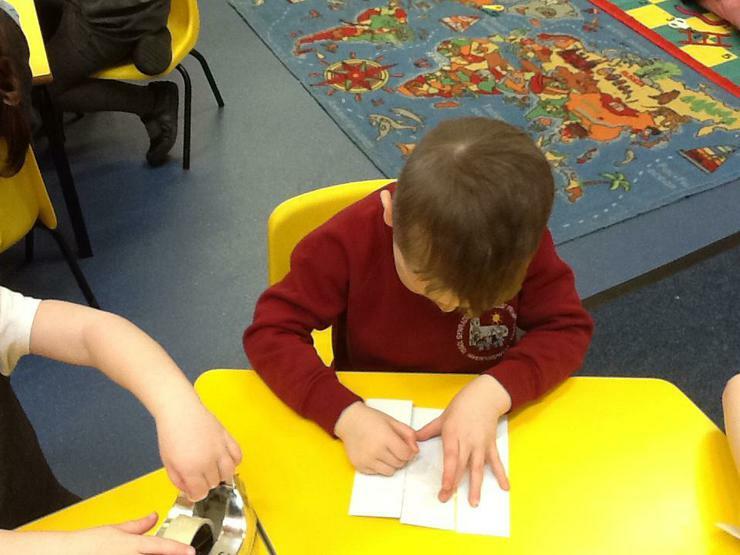 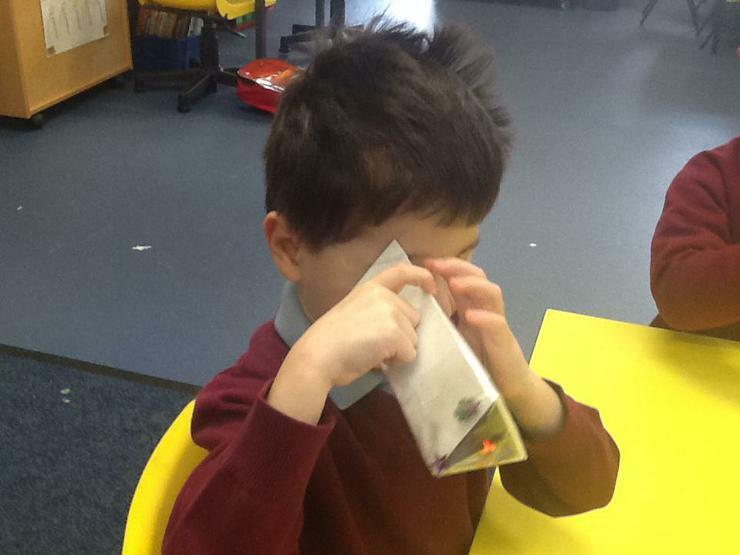 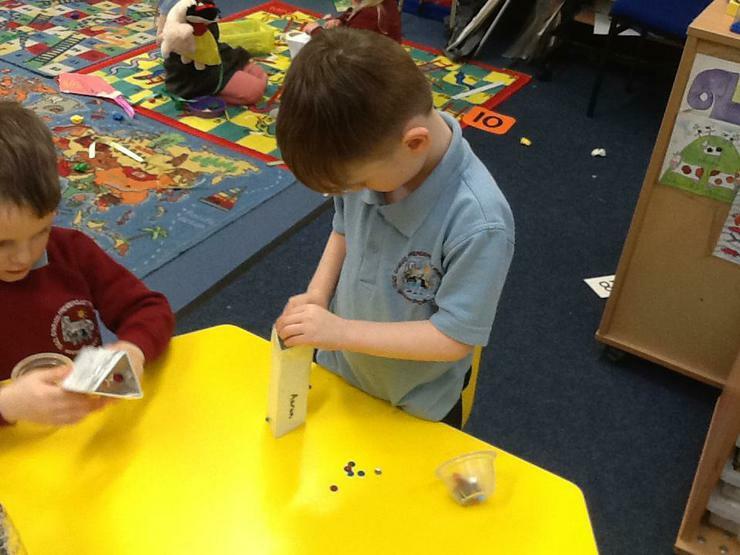 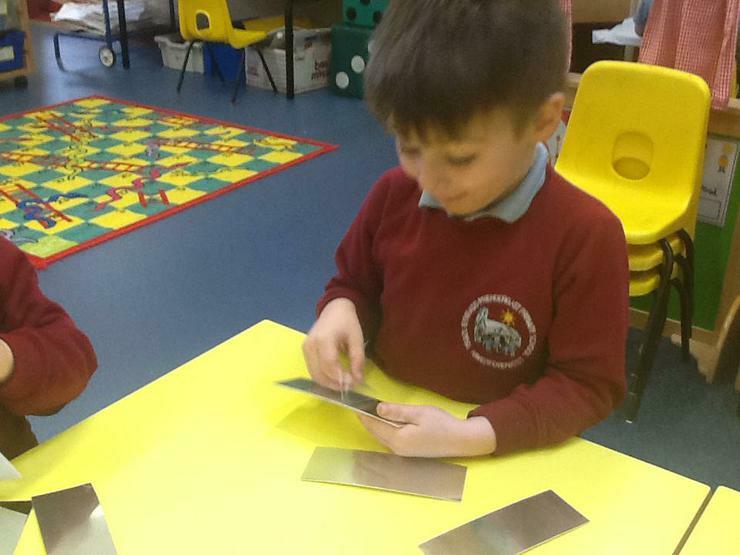 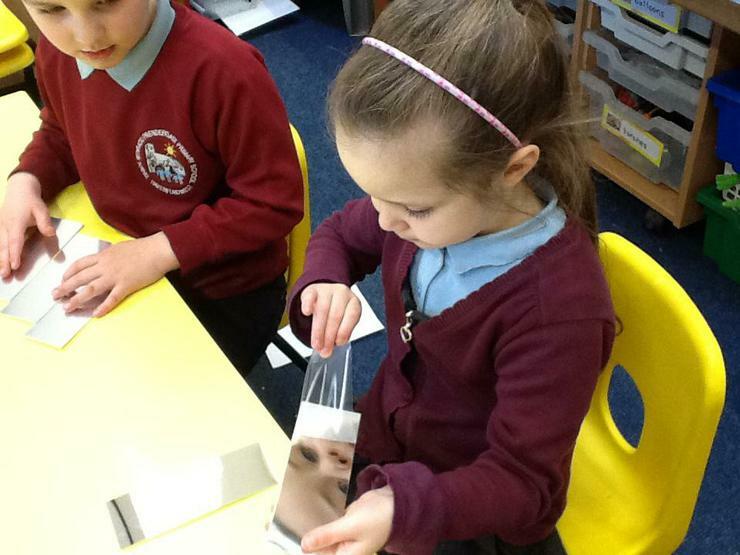 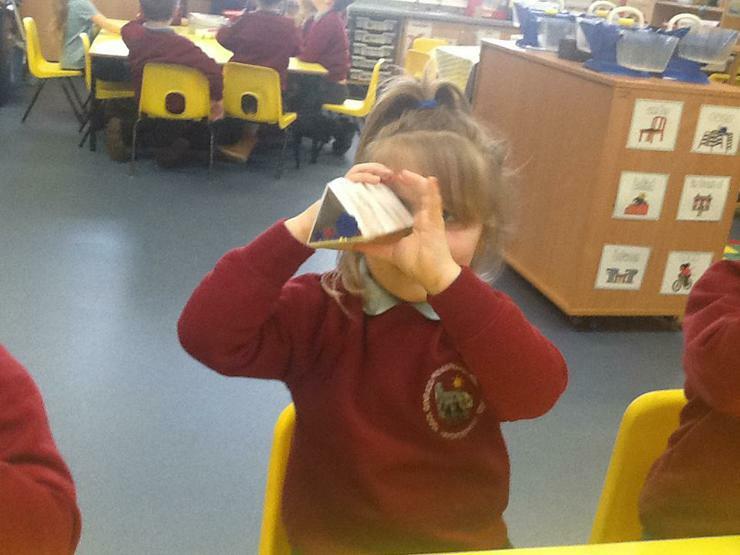 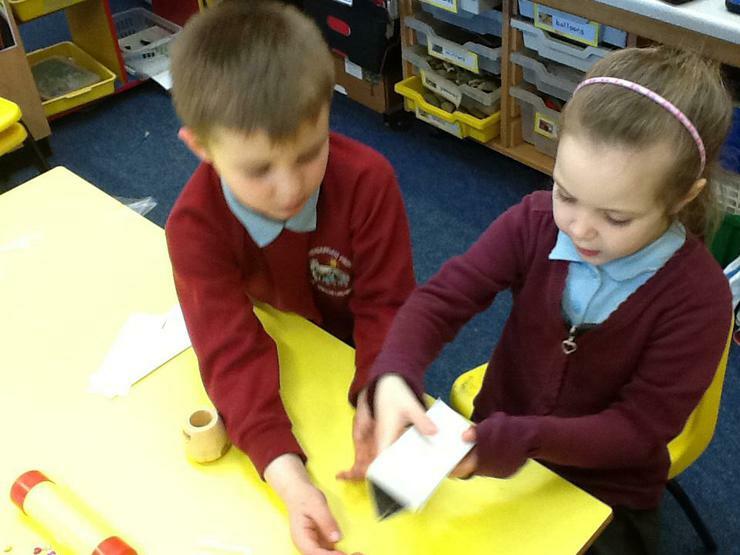 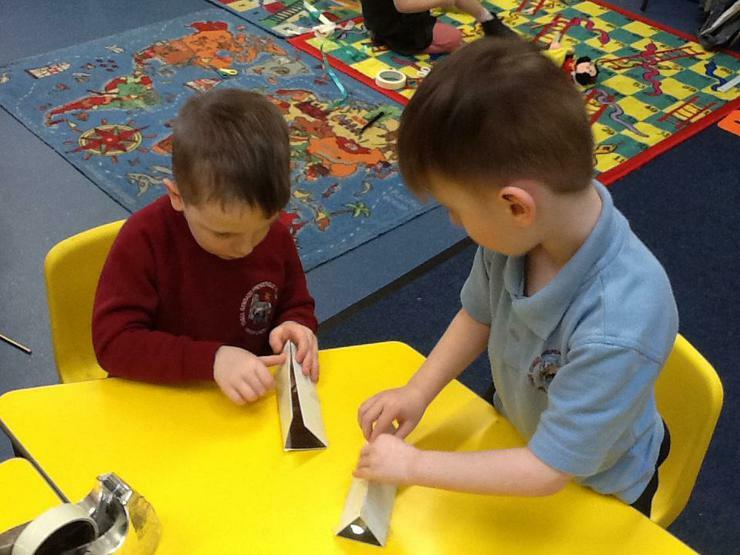 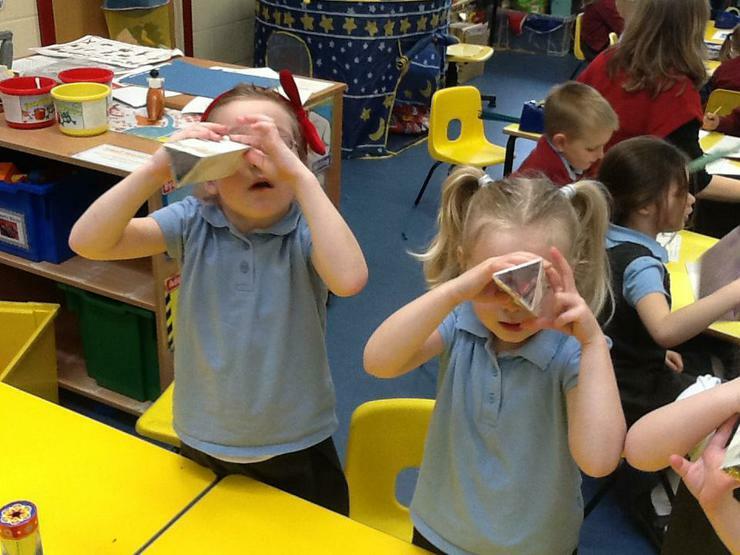 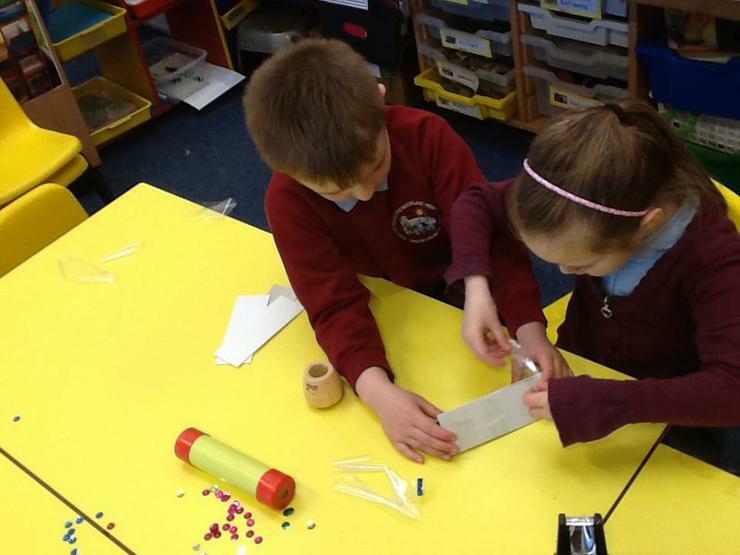 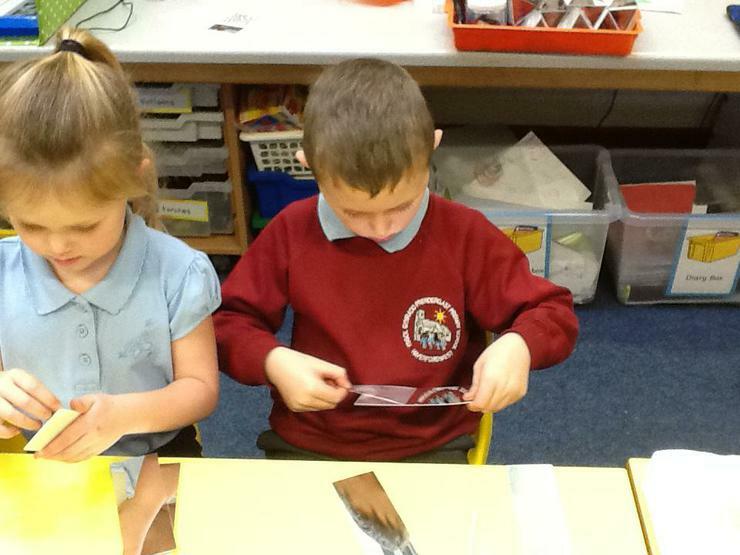 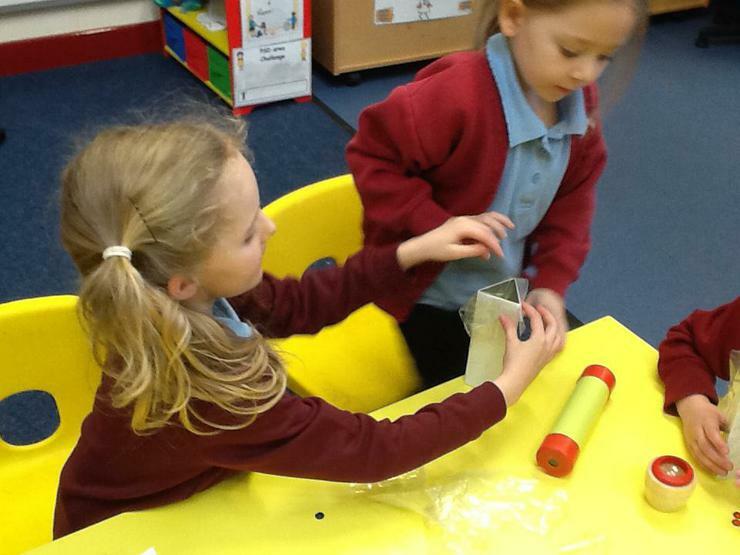 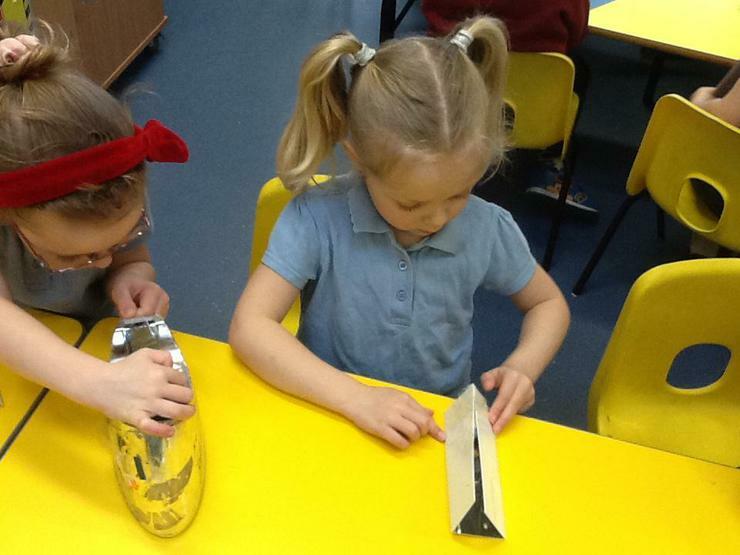 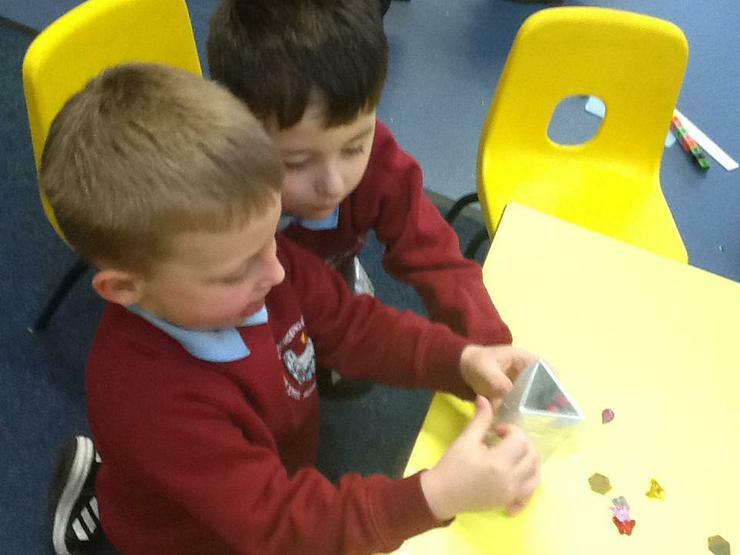 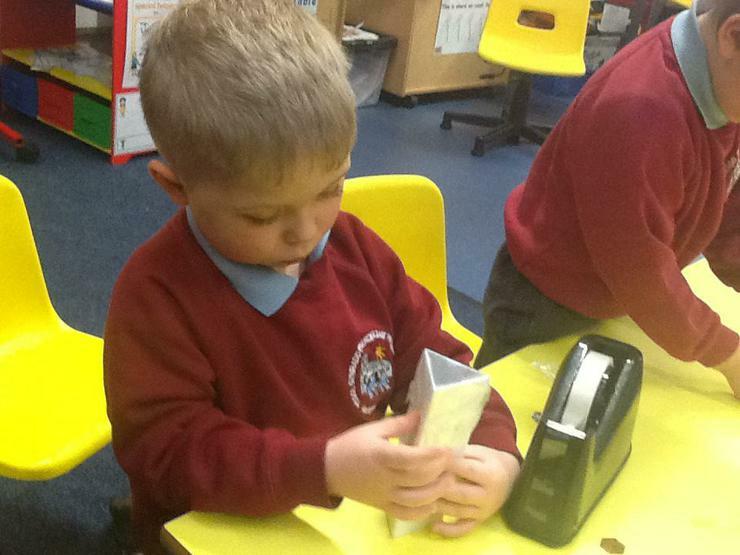 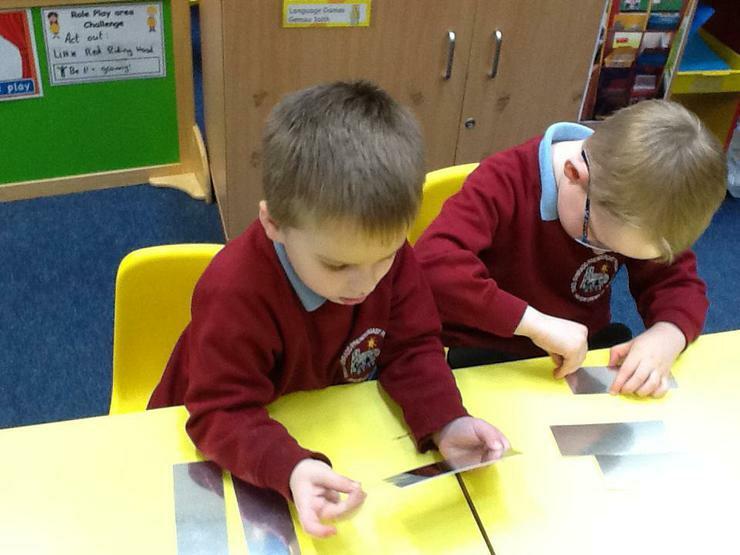 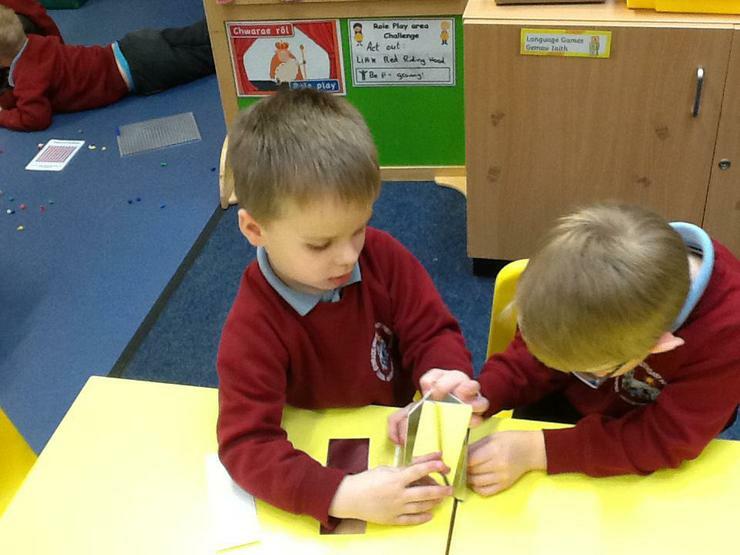 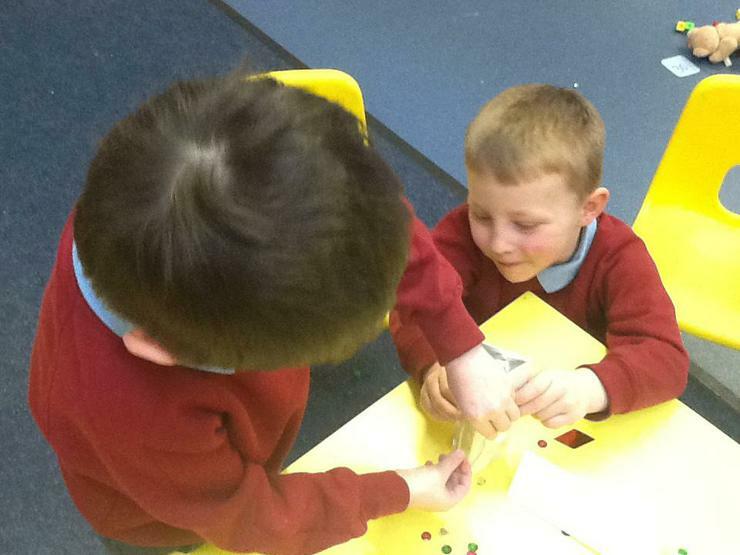 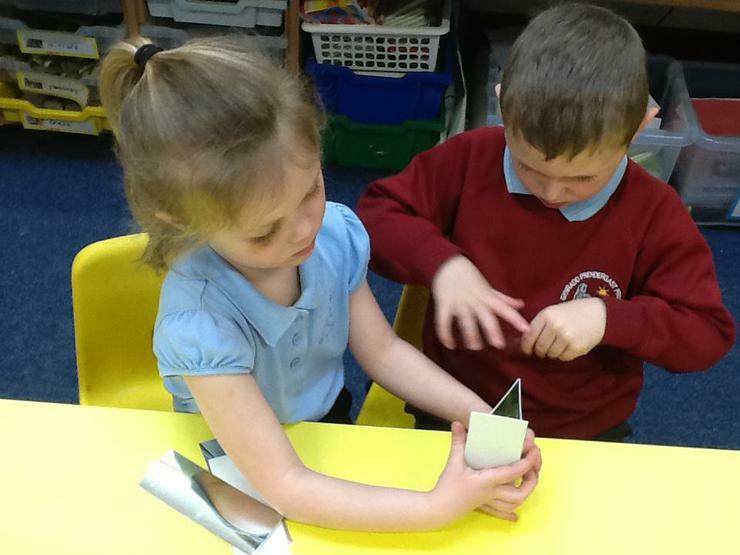 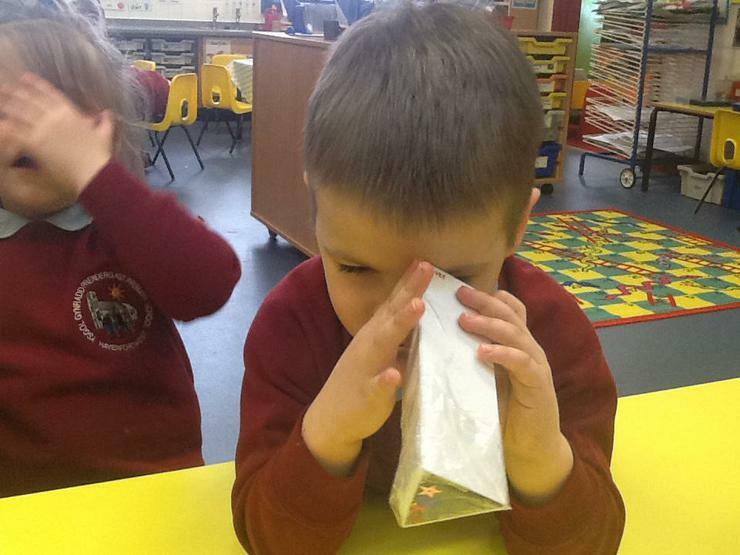 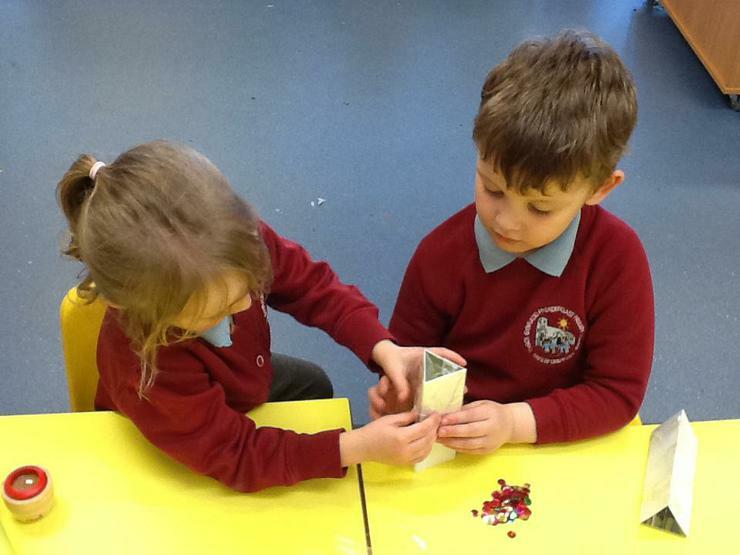 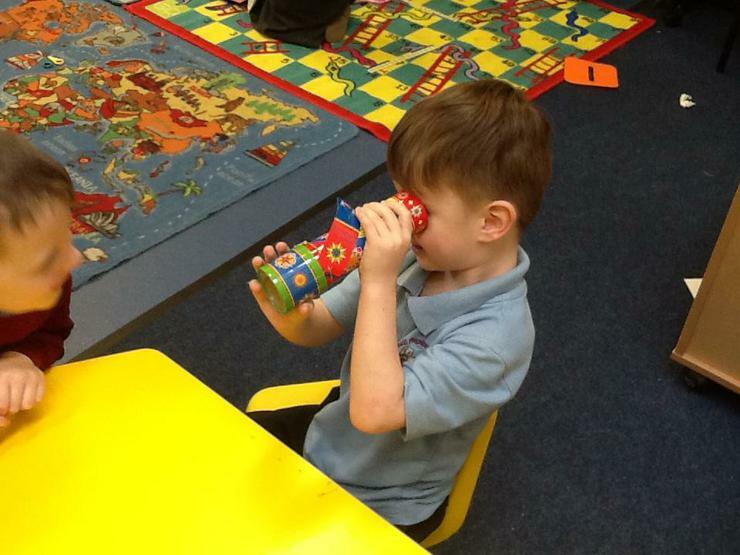 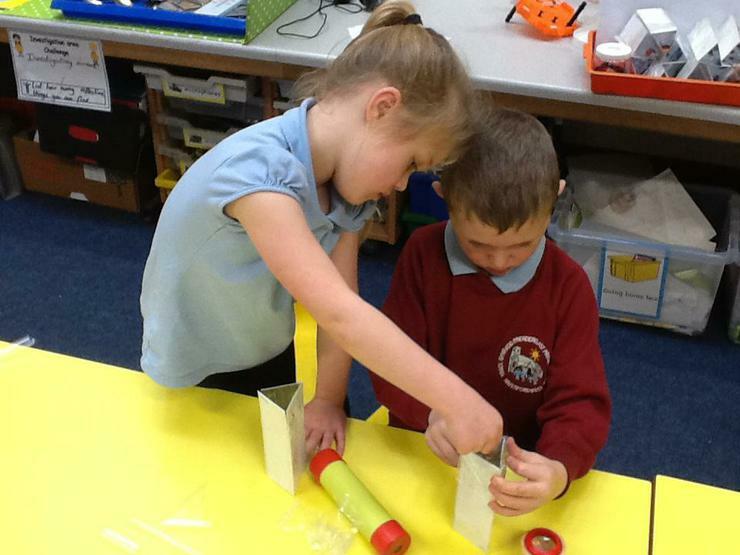 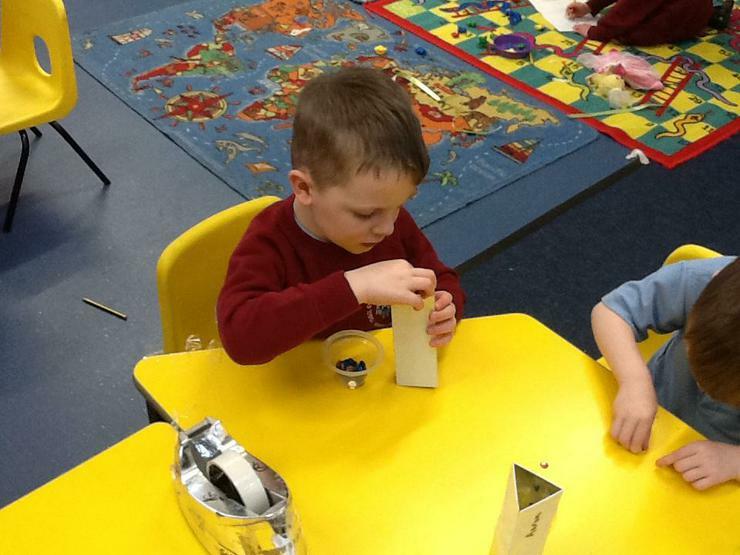 We made kaleidoscopes by building a prism with three rectangular mirrors. 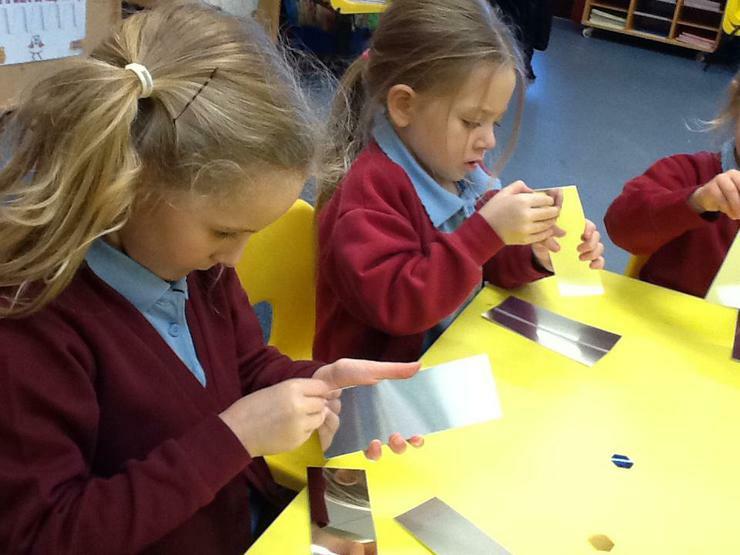 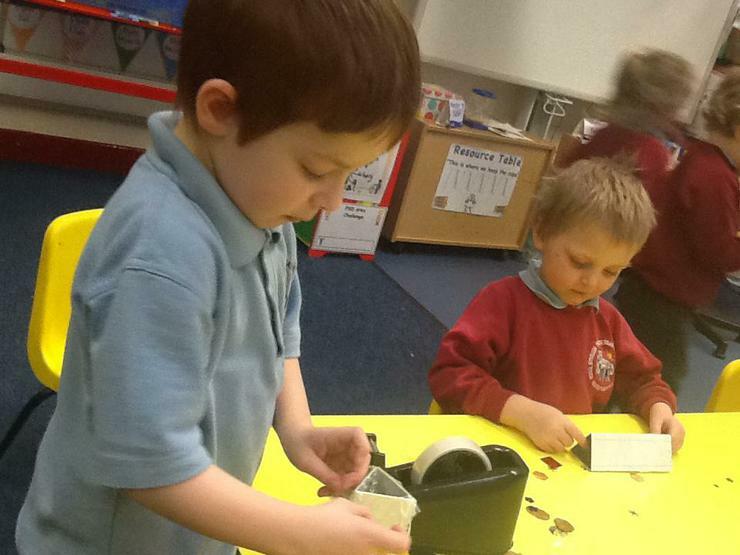 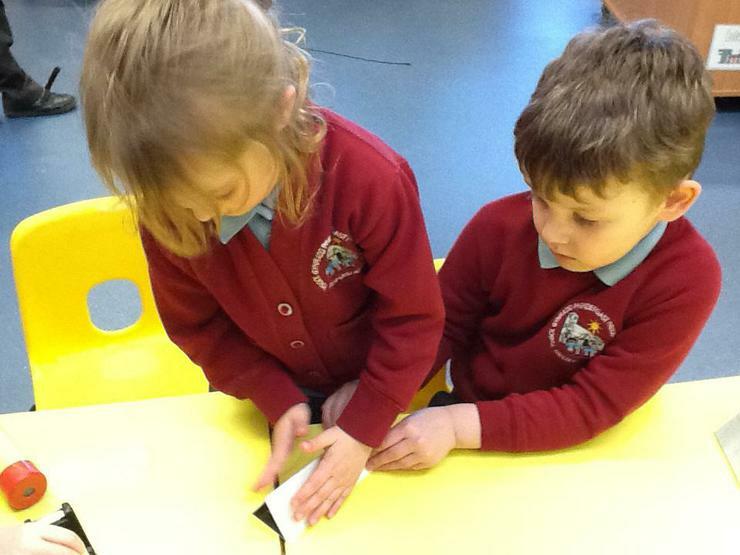 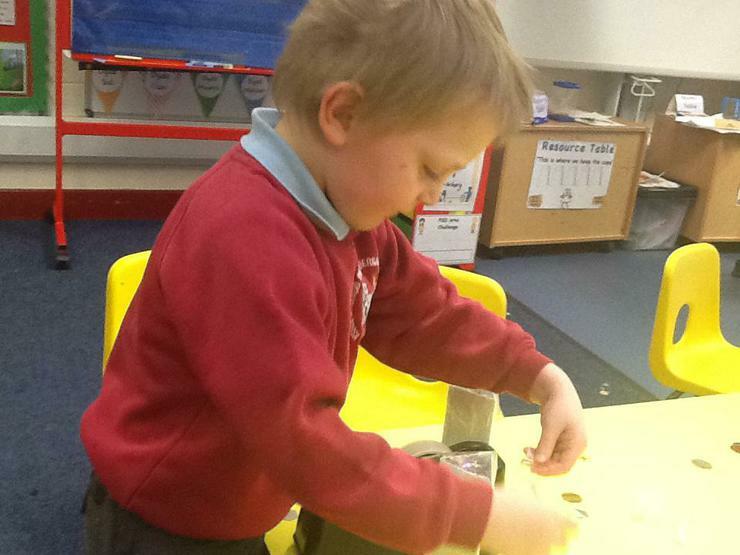 We used lots of sticky tape and shiny sequins. 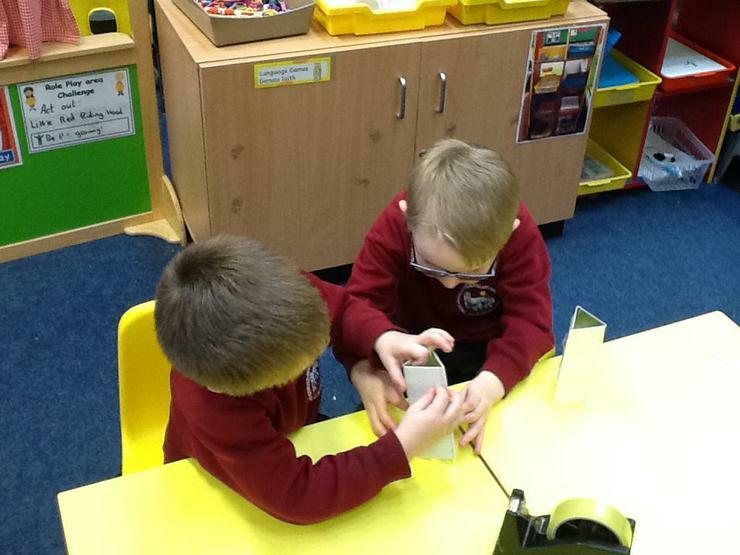 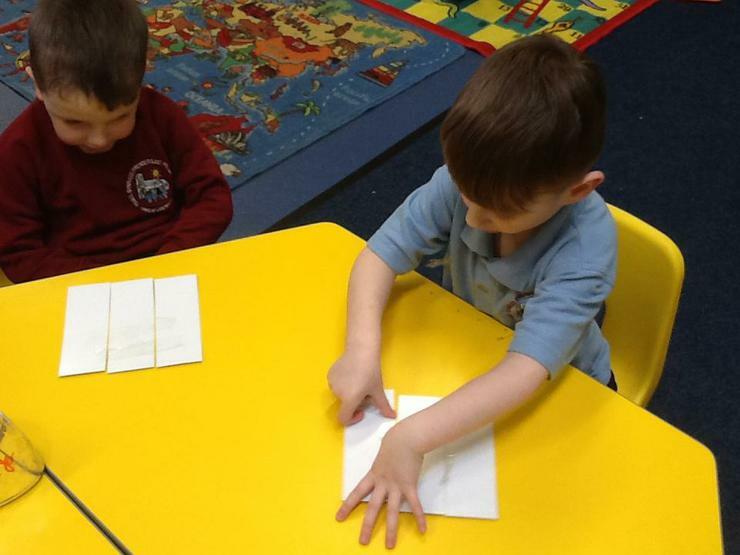 We helped each other.